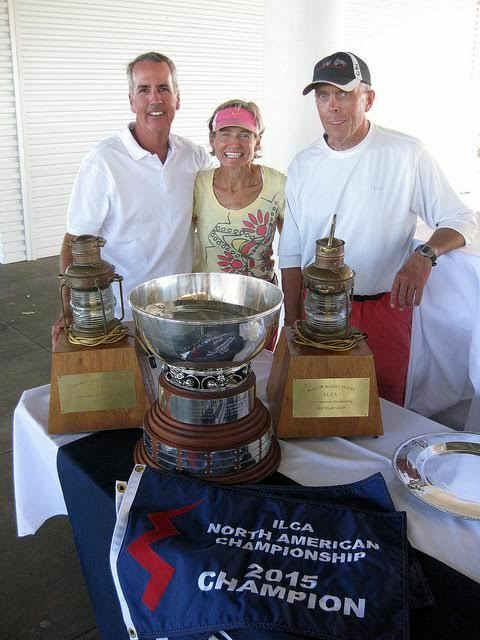 Three time Rolex Yachtswoman of the Year Jody Swanson has won the 2015 Lightning North American Championships, with a crew of Jody Lutz and Ian Jones. Jody S and Ian, along with Skip Dieball, were second in the Worlds this July. Both Jody L and Jody S are previous winners of the NA’s. Ian Jones, with a couple of World’s wins, a couple of NA’s, and countless other regattas is one of the best Lightning crew of all time. Jody S also has two World’s wins as crew. As compared to most years this is was a relatively small, but deep fleet. With the Masters Worlds and then Worlds at the Canoe Club in the middle of July, the class decided it would have been a bit of overload to hold the NA’s just a few weeks later in the mid August traditional date, so this year the class held the event at Southern YC in the fall, when there were better odds of wind and less oppressive heat. Tito Gonzales of Chile, who was won an Etchells Worlds and five Lightning Worlds, was second. Rounding out the top five were current World Champ Geoff Becker, Alan Terhune and Matt Fisher. It could be said that the singular win of a regatta like this is shot in the arm for women’s sailing in the US. That is true, but what is more important is the culture of inclusion and respect for women that has always been a hallmark of the class. At any regatta, it is pretty easy to see that the gender balance is general at least 66/33, if not often close to 50-50. 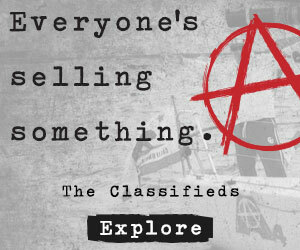 It has been that way forever, it is why the class endures, if not thrives. Modest to the extreme, Jody will always defer the accolades that come from a win to her crew, and then really only want to discuss how she can help more young kids have fun sailing. For a sport seeking leadership on and off the water, look no further than the example set by Jody Swanson.